That's awesome news. I like how the clones are now "echo" characters, indexed in the same slots. But I'm not liking how a lot of the controllable Final Smashes are now looking to be uncontrollable. Mario has Cappy, but possibly just as a cosmetic touch. Link's bombs & Final have changed. FALCO'S FINAL HAS CHANGED THANK THE LORD. Ryu now always faces the opponent in 1-on-1. Samus can charge in mid-air. Dedede's Final has changed again. Damage percentages now include decimals. Female Pkmn Trainer now available. Cloud's Limit gauge is always visible. Robin's sword/tome gauges are now visible. Villager's pocket is now visible. Giga Bowser has been buffed. Run. Monado Art selection is streamlined. Pit has a new Final again. Samus has a new final. Olimar's helmet cracks with damage. Not sure if that affects his performance. Finals are now "get right to the punch", whatever the crap that means. DK has a new final. Still bongo-esque, but more Jungle Beat & less Konga. Giga Mac has been altered. Mega Man's Final now includes Proto Man & Bass. ROB now has a fuel gauge. Inkling: Inked opponents take more damage. Inkling: Ink can run out & must be recharged in squid form. More ATs can be KO'd, & those kills count towards your score in timed matches. Waluigi still an assist trophy, because sometimes I get what I want in life, & what I wanted was Waluigi not to be playable. Omega mode returns. New Battlefield mode with it. Directional air dodging. Excessive dodging shortens invulnerability window. Attacks do more damage in 1-v-1. Cube controllers & Amiibo are still compatible. Paula & Poo show up for Ness's final (to summon the Starstorm, maybe?). Likewise, Kumatora & Boney show up for Lucas's. Pichu is still a masochist. Zelda has a new Final. Ganon's Final is now OoT-based. So far, the only confirmed new characters are Inklings & Ridley (& Daisy as an echo), but we've got almost 6 months for more info. Super Smash Bros. Ultimate - or also F*** IT. HERE. HERE'S EVERYBODY. EVERYBODY YOU EVER WANTED - ARE YOU HAPPY NOW? Hearing that “Stage Hazards” are now togglable. This is great news for competitive and casual alike. - MY BOY LUCAS IS BACK!!!!!!! - MY BOY LUCAS'S STAGE IS BACK!!!!!!! - KUMATORA AND BONEY ARE HERE TOO SO HE HAS FRIENDS!!!!!!!! - POKEMON TRAINER HAS LEAF AS AN ALT SKIN!!!!!!!!!!!!!!!!!!!!!!!!!!!! i swear everything this game is showing off is like sakurai specifically looked at fans' smash 5 wishlists and is just like "i can do that"
I'm not sure if a hazard toggle will actually be a thing in the final product. IIRC Smash 4 had something similar at E3. ^Maybe something like stage-bosses can be toggled, but for lava or spikes or something, a toggle doesn't make sense. 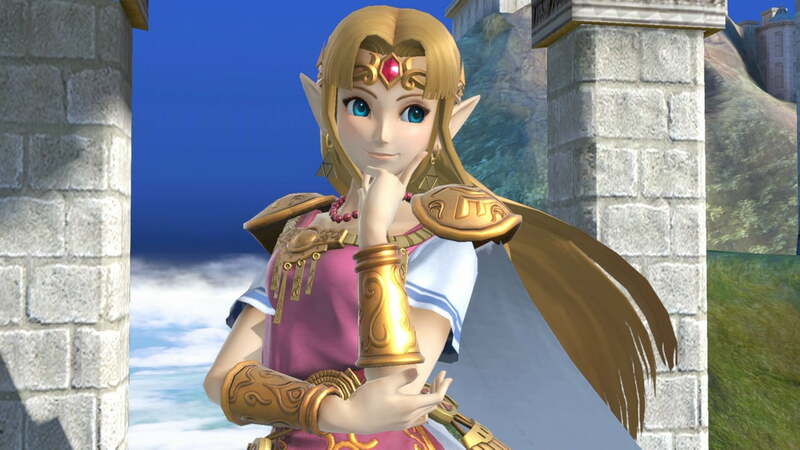 The new Smash absolutely stole E3 this year, it looks like Sakurai's finally found a comfortable middle ground between competitive and casual play too, it seems faster than Smash for Wii U (though that could just be me), and all the quality of life changes are really great. ALSO DAISY IN SMASH YES YES YESSSSS. Oh god, yeah that Bayonetta fight was sooo bad, I was laughing when I watched it. Yeah hopefully that makes it painfully obvious to Sakurai how badly Bayonetta needs a nerf. He did mention that while they were playing that he noticed some bugs, so it's possible the weirdness of the knockback was what he meant. Also possible that the more pro players were just exceptionally good at tilting, but I dunno. That means massive alterations/replacements to Infernal Climax, Giga Bowser, Mega Charizard X, Rocketbarrell Barrage, Konga Beat, Landmaster, Giga Mac, Mega Lucario, Octopus, PK Starstorm, Super Pac-Man, Volt Tackle, Three Sacred Treasures, Zero Laser, Grenade Launcher, Super Sonic, Wario-Man, Super Dragon, & Gunship. i did notice that people seemed to be living an awfully long time, and also that because of the way knockback works, it seemed like there were a LOT of instances of moves that looked like they should kill but didn't until like 50% later. i don't know if the knockback is really that non-indicative or if i'm just so used to how every other game did it that i don't have a sense for it. ^Smash 4 was similar with knockback. The special-effect trails are really exaggerated. i mean specifically with how fast people accelerate. it constantly tricked me into thinking people would get hit harder than they actually did, whereas with smash 4 the problems were vectoring (for horizontal moves), blast zones often being larger than they appear, and the kill thunder not accounting for di. EDIT: oh and guess what it's time to bring back? I legit died laughing when they were like "OLIMAR'S HELMET CRACKS but it's okay cause it fixes itself shortly OK MOVING ON"
So, the Ultimate models are just the Smash 4 models with too much front-lighting?